Don’t miss all the exciting news in the May-June issue of Speaking Up. 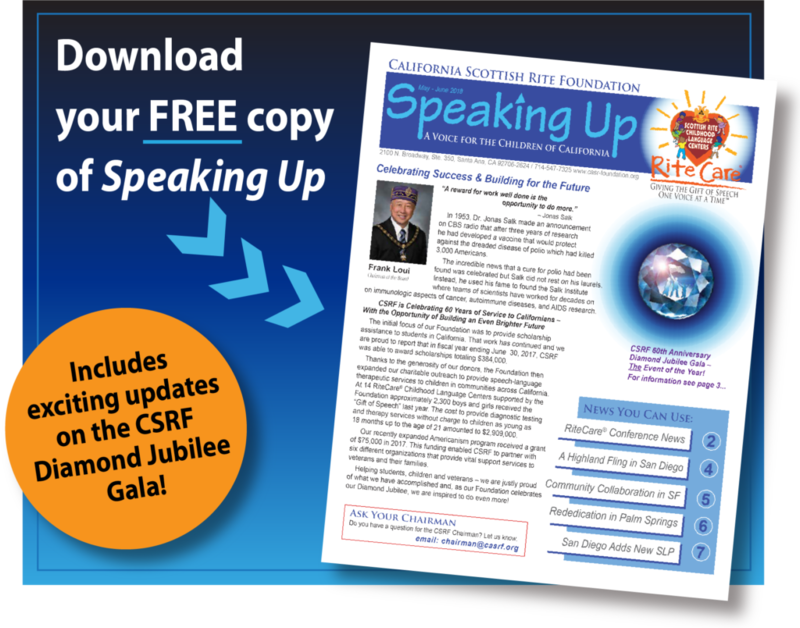 In your FREE download you will find all the breaking news on our Foundation’s Diamond Jubilee Gala as well as stories from across California on our RiteCare Childhood Language Centers. CLICK HERE TO DOWNLOAD YOUR FREE COPY OF SPEAKING UP!